With the rear seats down, the cargo space is nearly 76 cubic ft. Perfect for trips to the grocery store or the hardware store. Also, the Cargo Tray helps protect the floor in the rear storage area from accidental spills that can happen during sharp turns and quick stops. The CR-V is committed to convenience, while offering premium comfort and style. Inside, you’ll find an available leather-trimmed interior with spacious seating for five and technology to make life on the road more enjoyable. Thanks to the Honda Sensing® suite of driver-assistive and safety technologies that comes standard on every 2019 Honda CR-V, drivers can stay alert to changing traffic conditions. Honda Sensing® systems can even act if the driver fails to react to alerts for slowing traffic or unintended lane drift. Helps bring your CR-V to a stop by automatically applying brake pressure when the system determines a frontal collision is unavoidable. Long highway drives are easier with LKAS, which subtly adjusts steering to help keep the CR-V centered in a detected lane. 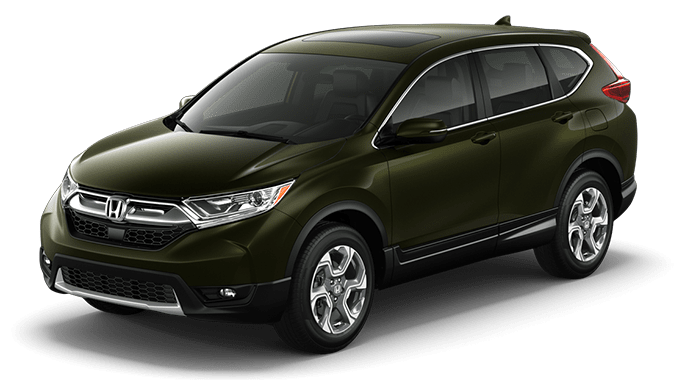 The advanced driver-assistive technologies of Honda Sensing® come standard on the 2019 Honda CR-V LX trim and above, while its competitors lack these smart safety features. The new CR-V's comprehensive suite of safety technologies delivers the modern conveniences and driving peace of mind, all at a driver-friendly Honda price. *U.S. News & World Report, November 2017. 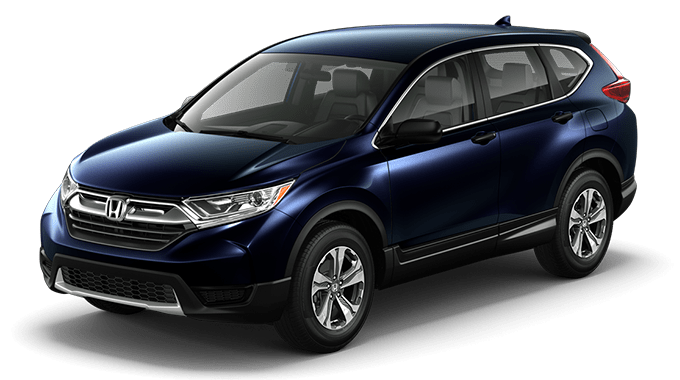 2019 CR-V Touring 2WD CVT. MSRP excludes tax, license, registration, $1045.00 destination charge and options. Dealers set own prices. 184 hp @ 6400 rpm, 180 lb-ft torque @ 3900 rpm (SAE net) standard on LX. 190 hp @ 5600 rpm, 179 lb-ft @ 2000-5000 rpm (SAE net) standard on EX, EX-L, and Touring. The Honda Satellite-Linked Navigation System™ is available on EX-L trims and standard on Touring Trims in the United States, Canada and Puerto Rico. (Honda HD Digital Traffic service only available in the United States, except Alaska). Please see your Honda dealer for details. 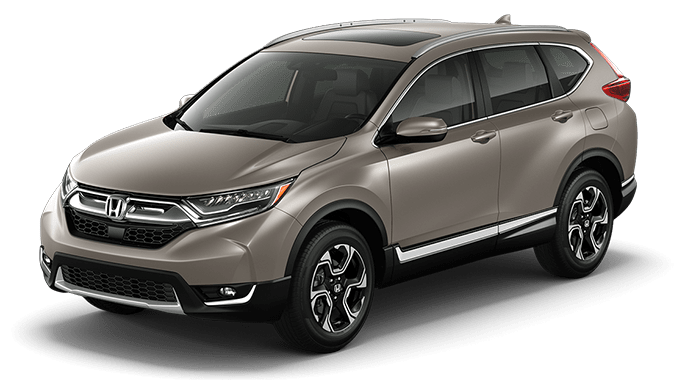 On All 2019 CR-V models equipped with Honda Sensing and specified headlights. See IIHS.org for complete details.